We’re all in the Christmas spirit over here, fa-la-la-la-la-ing all over town so naturally, the darling Beth and Tyler are on my mind these days! 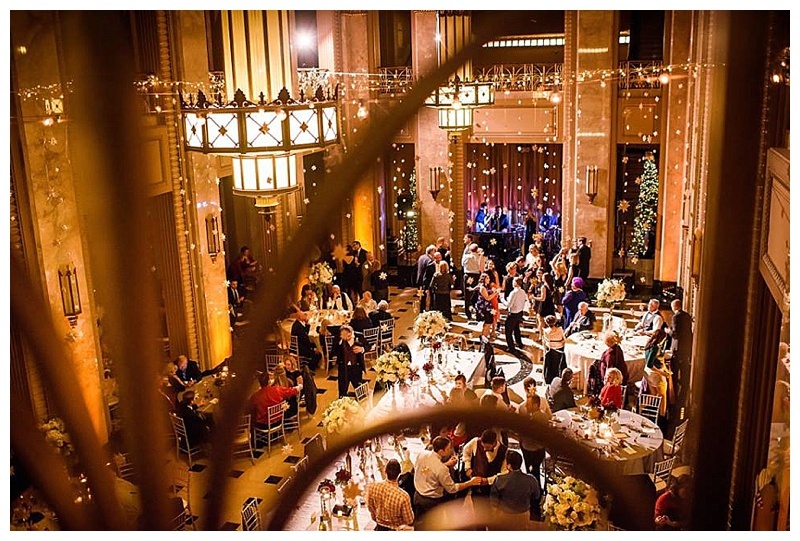 And with their one-year anniversary ahead this weekend, it seems a perfect time to share their gorgeous Christmas wedding with all of you. 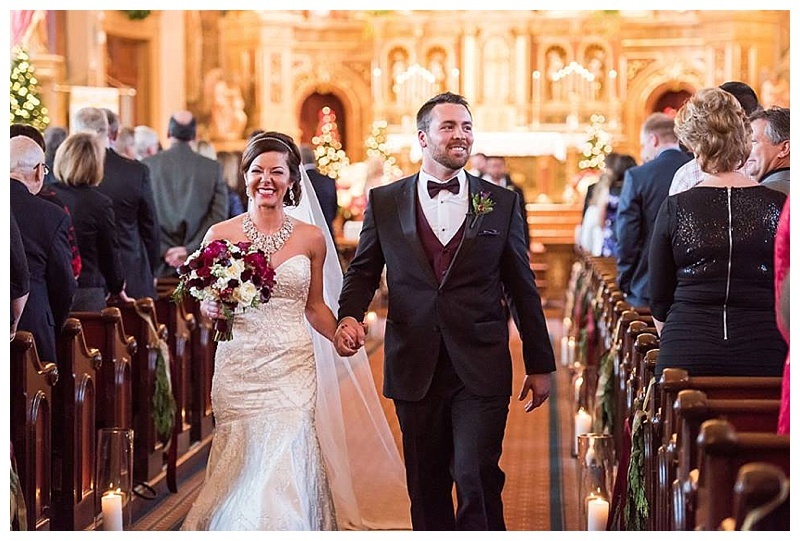 When Beth and Tyler set their nuptials for December 19, we knew Christmas would be on the hearts and minds of all of their guests. It’s the most wonderful time of the year, so we decided to embrace the theme and make it a magical kick-off to Christmas! 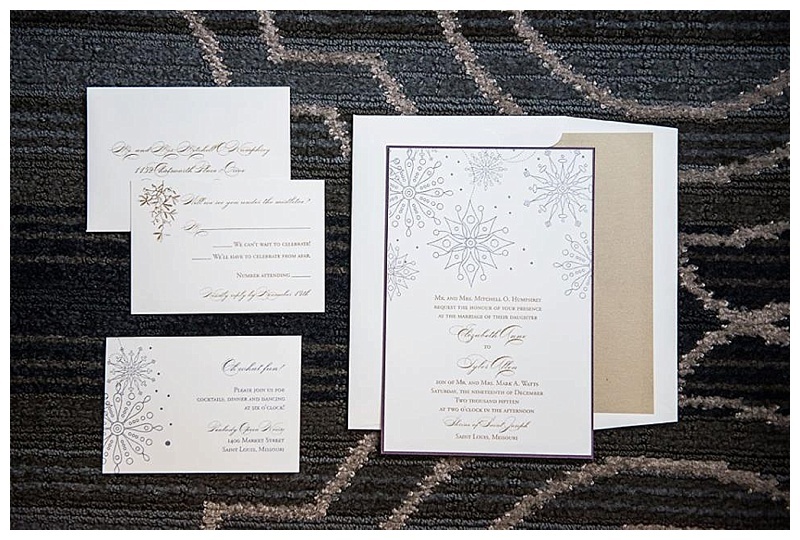 We selected red, plum, and gold for a rich and elegant color scheme. The boys rose to the occasion in tuxes and Beth literally sparkled with the most stunning diamond statement necklace any bride ever wore down the aisle. And let’s take a second to look at those shoes, shall we?!? 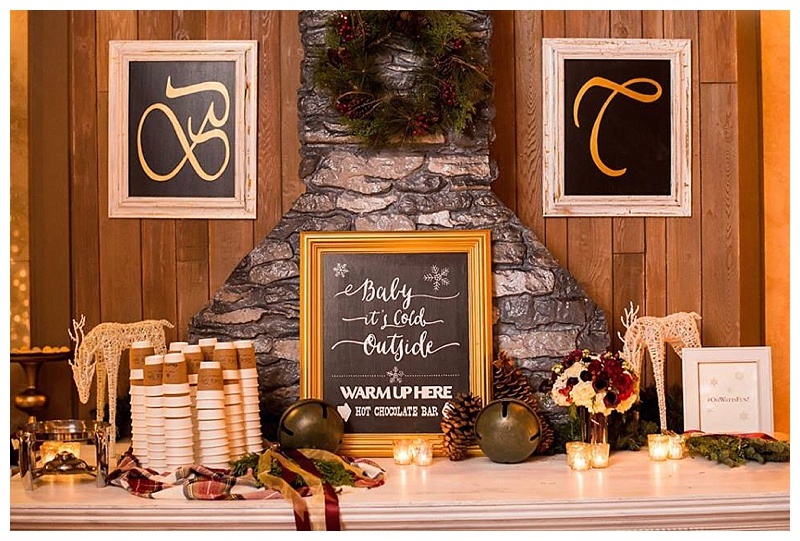 We rewarded wedding guests for braving the cold with a hot chocolate bar and they found their seats via handwritten Christmas ornaments. 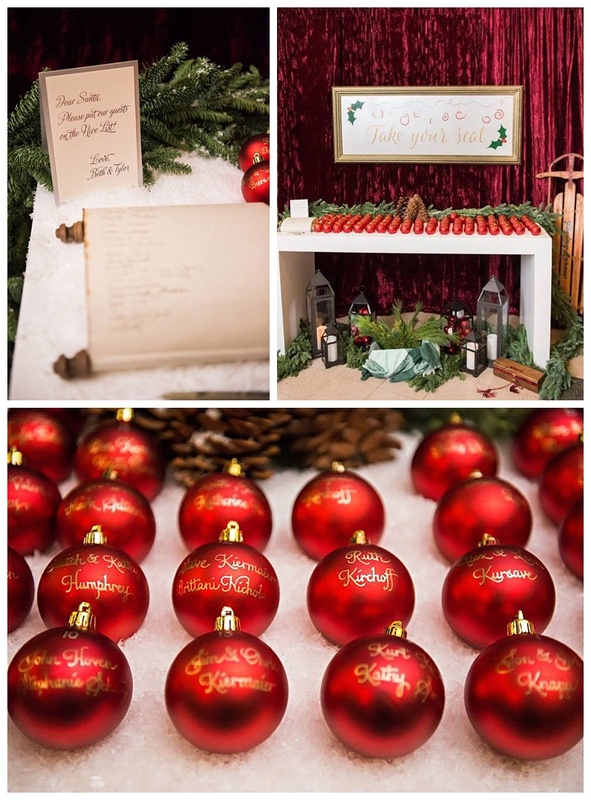 And using Santa’s Nice List as your guest book was a fun way to welcome everyone in. 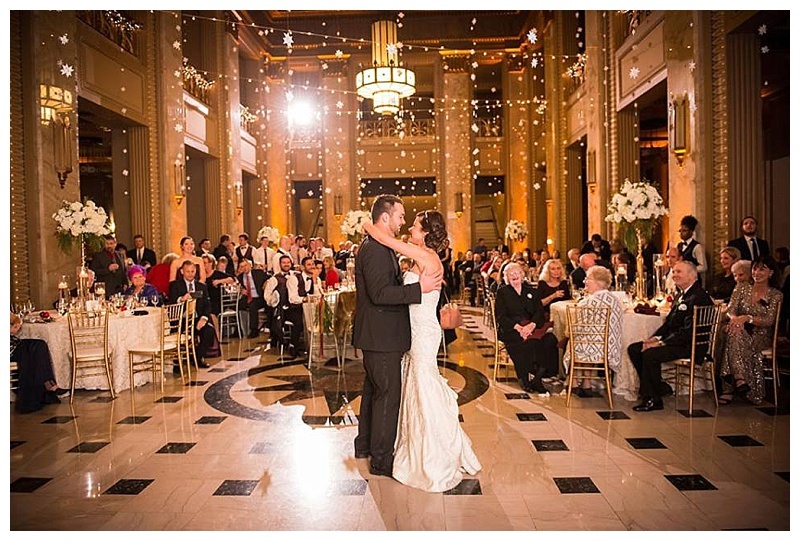 When guests entered the Peabody Opera House, they were awe-struck by thousands of falling origami snowflakes. We individually strung them above the dining tables and the end result was worth every paper cut! I hope you enjoy reliving their magical Christmas wedding as much as I have. And Happy Anniversary, Beth and Tyler! You two are as beautiful on the inside as you (and your wedding) are on the outside! I hope this last year has been everything and more than you ever dreamed it would be… 2017 will have even more blessings with the baby on the way!